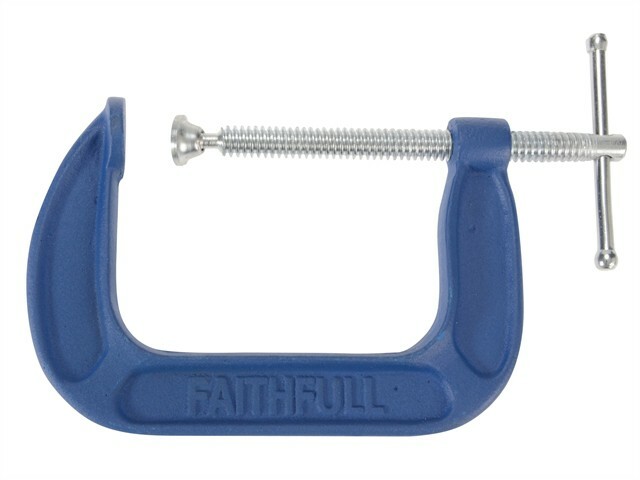 The Faithfull G Clamp is made from malleable SG iron, making it suitable for a wide variety of metalworking and woodworking applications. Accurately machined spindles provide a smooth operation and maximum clamping pressure. The frames have a powder coated finish for increased resistance to corrosion.